As we are moving towards more telecomuting having a nice home office or at least a workstation becomes more preferable if not necessary. The space where you can sit in peace and quite and think about nothing but your work is a key to success. 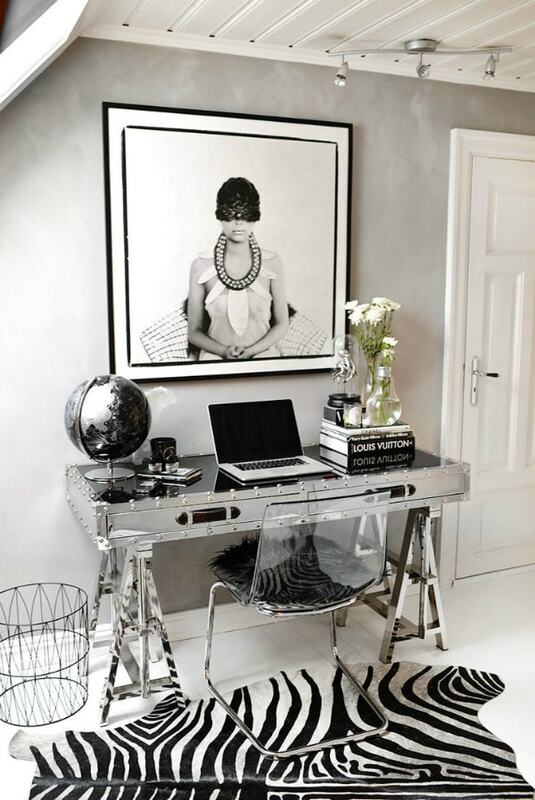 But if you feel like it’s a bit soulless or boring here are three ideas on seriously updating your work space in a modern stylish way. If you just starting working at home chances are your desk was not something deliberate, something you had time to think about. Start by choosing a desk of your style, shape, and size to ensure an ideal work environment. It should convenient and functional sure but it can also be stylish and modern like the unusal metallic Flight desk. 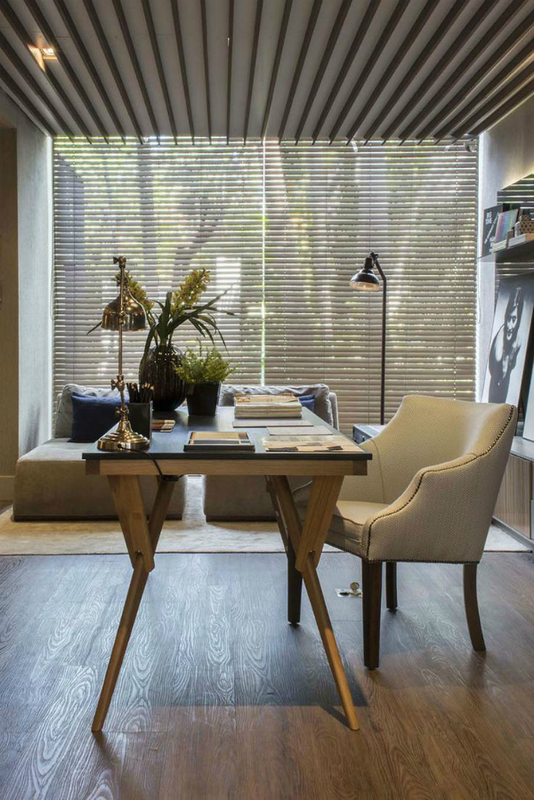 Many a time window treatments of your home office are the same as your bedroom or living room window treatments but if you happen to have an office or a study that you are using as office window treatments are mandatory for a complete look. Here the blinds are partially shutting out distractions of the outdoors and also blend nicely with the ceiling design. They can also be opened once the work is done or during a break. Nothing beats photography and art when it comes to wall decor. 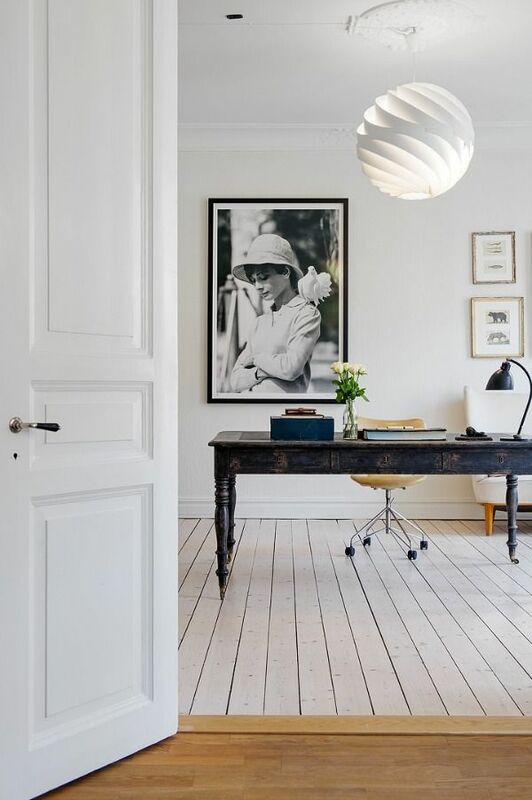 Home office can too benefit from a portrait or a painting. It is much more tasteful than motivational decals that are easy to take for granted.